Notice how its always someone else's opinion what the public wants. ( just reading about the court case.) Give the people themselves a voice, I really don't like these big business types talking about what the people want, because it never reflects on what the people want. And is only beneficial to the company's themselves. and they're wants. Who could think its a good idea to have a program that is supposed to be there to get rid of dangerous and unwanted malware and spyware? to start removing paid for programs. as if they are dangerous. What this encourages is the company with the court rulings those who win to design programs that remove other companies programs in favour of there own. It is Cloak and dagger tactics. And if that's what's truly going on, am not saying it is in this case. but who knows. It's very dishonest. and not helpful to the people who pay money for programs your removing. This should NEVER happen. Isn't it better that companies work together? And design programs that everyone is happy with instead of THIS unhelpful behaviour. Anyways PUPs ignored. !!! FIXED. WoW. is this a joke. Reputable. Advanced SystemCare is brilliant and it gives my system a very welcome cleanup, it helps with drivers, and uninstalls it helps clean and speed up the system. if this ideology is truly held by Malwarebytes and not just some blogger. Then its time to stop using Malwarebytes and find another malware program that is not so ignorant to peoples PC and programs, and doesn't think of itself as some god or programs and malware. 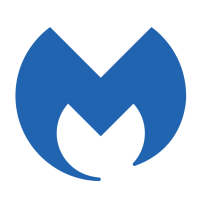 This is not just about what Malwarebytes thinks and wants. its about what people think and what people want. Plenty more malware programs out there that don't act with this behaviour. And i want advance system care on my PC. and if i have to uninstall Malwarebytes forever then that's what I will have to do. But it would be a shame because both programs are useful. But id rather keep advance system care and get rid of Malwarebytes to be really honest. how ignorant. lp.molodost.me I scanned my site, and didnt detect any malware. Please remove the site from this list.